Shepherd professors and students will conduct research for the U.S. National Park Service (NPS) through a one-year, $56,749 contract with the C&O Canal National Historical Park. This is the first contract for Shepherd since the university became a member of the Chesapeake Watershed Association regional segment of a Cooperative Ecosystem Studies Unit under the NPS. Three professors—Dr. 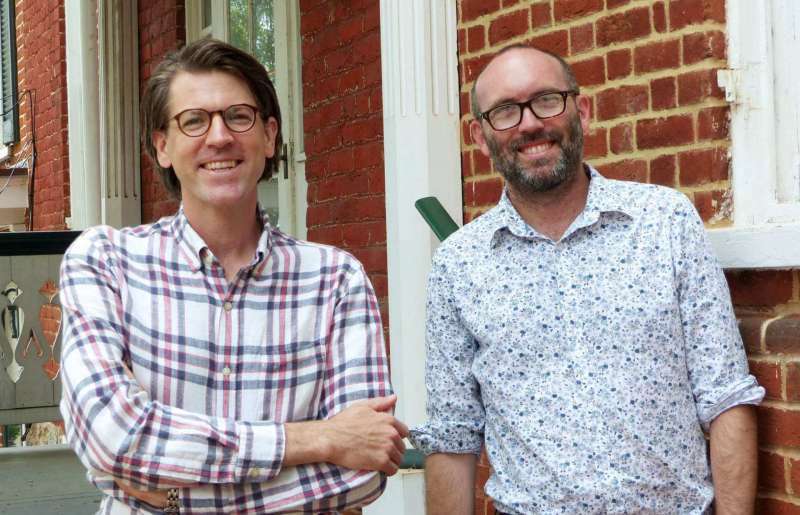 James Broomall, assistant professor of history and director of the George Tyler Moore Center for the Study of the Civil War, Dr. Benjamin Bankhurst, assistant professor of history, and Dr. Keith Alexander, associate professor of history—will work on the project, which will focus on African American experiences at Ferry Hill, Blackford House, and the Bridgeport community. They will develop a historic structures report for Blackford House, a small stone house that dates to the early 19th century located on Canal Road near Lock 38 in the Bridgeport community across the Potomac River from Shepherdstown, and a historic resource study supplemental report for Ferry Hill Plantation, which sits atop the hill overlooking the river. Bankhurst is drawn to the topic of industrial life at the site. “I am keen to uncover how the canal shaped African American life and work at the Blackford House and am excited by the prospect that our work might shape how the site is interpreted in the future,” he said. The three professors, with the help of some students, will have to sift through NPS archives. They will also have to conduct research at the University of Virginia, Virginia Historical Society, and Library of Virginia. Broomall said these places have repositories that go back to the 18th and 19th century and include family estate records. The project gives the three historians an opportunity to collaborate with each other and NPS frontline interpreters, administrators, and cultural resource managers. It will also provide students a chance to help conduct the research. Broomall said students who help with the research will gain real-life experience that complements what they learn in the classroom.